New Student Documents – Download these documents (PDF files) for important student information. 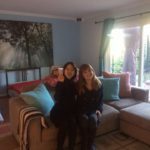 Accommodation Arrangements – Do you need housing while you study with us in San Diego? In this page you can see all the information you need to reserve your spot. Student Cafe – Right across the street is refill (a nice coffee house that is great for studying and talking with friends from around the world). Airport Transfer – Do you need transportation when you arrive at the airport? Let us help you get to your place. Internexus Student Center – Find out about all the services we provide for you when you become a student at our school. 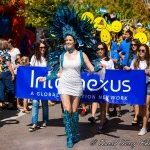 Student Satisfaction Survey – Thank you for attending Internexus San Diego. Your opinion and ideas are important to us. Please take a moment to fill out our Student Satisfaction Survey.